Amazon writes a check for $600,000 per month! Get published. Get profiting*. Get Kindle Kash. The Kindle platform has changed the publishing world. Kindle offers royalties of 70% as standard! offered by traditional publishing houses! You can professionally self-publish in minutes! No need for agents or publishers, and Amazon will even give you a free ISBN. Just write, format, upload, and sell! Begin one-click selling to anywhere in the world, with massive exposure via the Amazon websites. Right now is the "golden bubble" period for getting in on the Kindle's success. Traditional publishing houses however are still pricing their e-books near physical copy prices, meaning that independent writers - like you - are making a FORTUNE selling their own books, at discounted rates. Even a relatively small book, selling for $2.99, and selling just 500 a month - which many are already doing - would bring in an extra a month, or $12,000 per year*. Nick Daws lives in Stafford, UK. He has written over 70 fiction and non-fiction books during his writing career - including 15 best-sellers in the past three years alone. He enjoys both reading and publishing on the Kindle! 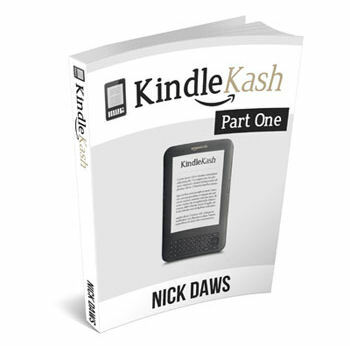 Kindle Kash is the brand new course from best-selling author, Nick Daws. Over ten parts, Nick will guide you through everything you need to know in order to write your own book, get it published on the Kindle platform - and start raking in royalty dollars. 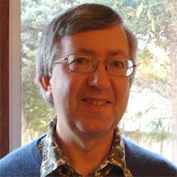 Nick will share the precise steps you need to follow in order to become a Kindle best-selling author - all in his trademark, easy-to-understand manner. 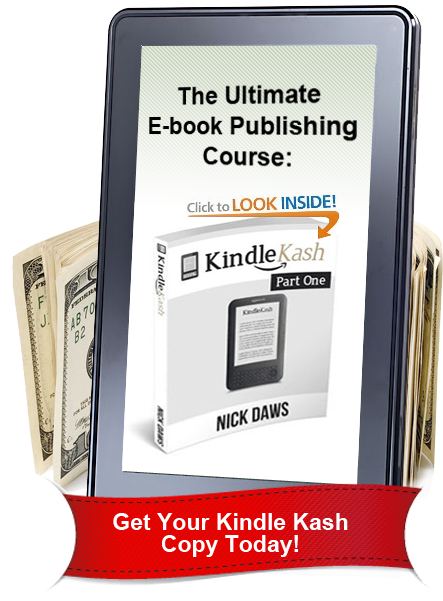 Inside the Kindle Kash course, Nick starts by helping you actually write your book in the first place. He'll give you on the hottest topics to cover, teach you how to structure your book for best results, and how to write the entire thing in just days - using his famous "freewriting" technique. He'll also show you how to edit the whole manuscript in just minutes - without an editor! Then Nick moves on to the actual heart of the book, showing you precisely how to join Amazon as a publisher, and the precise steps you need to take to format your book specifically for the Kindle platform. He then shifts on to explain how to promote your book in order to sell the most possible - plus all of the sneaky little tips and tricks that will boost sales of your book even further. This is the ultimate book on cashing in on the Kindle. One Kindle author makes 600K a month. Another gets movie contract. And you? Amanda Hocking started less than a year ago, and now has a handful of paranormal and romance titles on Kindle. Most of her books sell for a reasonable $8.99. That means she gets around $6.30 for every copy sold. Statistics show that her monthly sales currently exceed 100,000 already. That means she's earning over $630,000 from Amazon - every single month. Or take Aaron Patterson. He lives in Idaho, and published two thrillers on the Kindle platform. He's now easily selling 4000 copies a month, bringing in an estimated $25,000 per month. Karen McQuestion is a similar success story. She spent years trying to find a publisher for her book, 'A Scattered Life.' Then she decided to self-publish on the Kindle platform. It soon became a Kindle best-seller - which then resulted in a (very profitable) traditional publishing house deal - and a movie contract. Are you starting to see how the Kindle is changing everything? Discover the six bonus Kindle guides - yours FREE when you order today. Got a blog? 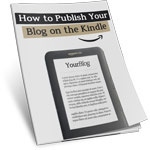 Start publishing on the Kindle in just minutes, and earn $$$ for your efforts. A great way to monetize something you're already doing, at NO extra effort! Stuck for inspiration? Don't be. Nick Daws shares the topics which are absolutely red hot on Kindle right now. Write one of these, and get yourself a guaranteed best-seller! Want to sell more books? Create a great title! This 13-page report shares the twelve killer techniques to creating a great title - and how to use it to seriously rocketing your sales, too! Want to target other e-book platforms, quickly? This guide shows you the quickest and easiest method of porting your book straight to the Apple Store, and more! Uncover the most invaluable websites and resources to help in your Kindle publishing adventure. This is an absolute must-have list of essential resources, swiped straight from Nick Daws little black book. If you don't order now, you'll miss out on this publishing revolution for good. Don't risk it. Take advantage. * IMPORTANT DISCLAIMER: This site has no affiliation with Amazon.com, Amazon Inc., the Kindle Store or any other product. Kindle Kash is an educational guide that aims to teach its reader how to successfully navigate the publishing opportunity presented by the advent of the Kindle. No claims or guarantees are made that you will get accepted into the publishing program offered by Amazon. Terms and conditions may change at any time by Amazon that renders part or all of this product defunct. No income claims or guarantees are made. The results listed on this page are exceptional results and are not indicative of any future performance — it's possible that you will make nothing at all, or even lose money. Do not purchase this program if you are not willing to invest time, effort, money and responsibility into managing your own results. What the Amazon Kindle is, and why it's such GREAT news for writers! Six writers who have enjoyed huge success from e-book publishing - one of whom is selling OVER 7000 e-books PER MONTH on the Kindle! How another writer leveraged her success with a Kindle novel to get a print publishing deal and a movie option. She now has six published books to her name, and no doubt many more to come. There's no reason YOU couldn't do likewise! The eight main e-book formats and what they are used for - ESSENTIAL INFO for would-be e-book authors wanting to maximize their income. 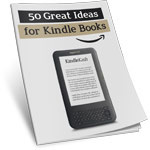 What topics sell best on Kindle - and how to cash in on current publishing trends. Seven powerful methods for researching good topics for a Kindle e-book - including Nick Daws' SECRET TECHNIQUE, never before revealed! Three great methods you can use to narrow down your choice of topics to the best one for selling at the Kindle Store. A great FREE TOOL you can use to research relevant keywords - the best way to ascertain the level of interest in any non-fiction topic. And ANOTHER free tool you can use to check on trends and ensure that interest in your proposed topic is stable or rising and not in decline. A simple, five-step rating method you can use to choose the subject of your next book if you really can't decide between two or more options. Why Kindle is also BRILLIANT for fiction writers - and the type of fiction to write if you want to extract maximum sales from this medium! Three reasons you should prepare an outline for your e-book before you write it. A simple, four-step method you can use to prepare a detailed 'blueprint' for your book. This will then guide you painlessly through the actual writing process. Writing a book doesn't get any easier than this! The best software to use for actually writing your e-book - and six tips for ensuring that converting your manuscript to Kindle format is as straightforward as possible! The best method for creating your first draft - based on proven psychological principles. A secret technique for minimizing the time you spend on research. This method will cut your research time and effort to the bone, thus speeding the day when your book is published and you start making money from it! 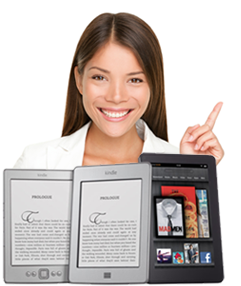 Six important things to bear in mind while writing your e-book, to ensure that it works well in Kindle format. Why in most cases the best person to edit your Kindle e-book is YOURSELF! Ten POWER EDITING tips to help you get your e-book edited as quickly and efficiently as possible. The Scale-and-Polish Method of paragraph editing - how you can save even more time by focusing on the most important editing tasks. Four reasons you should try to get feedback from other people before publishing your e-book - and three great sources of people who will be happy to do this for you. HTML 101 for Kindle Authors - you don't need to be a programming wizard to write for the Kindle, but if you know just a little HTML, it will make formatting your book FAR easier. Learn the essentials here! Ten tips for preparing your e-book for conversion to Kindle format - and a DEAD SIMPLE method for converting your word-processed e-book to Kindle-friendly HTML. How to add a cool front cover image to your Kindle e-book, and any other images you want too. Actual code samples included! How to create a professional-looking table of contents with hyperlinks - again, with sample code you can use for your own e-book provided! The one thing you MUST NOT DO with images or they won't display correctly on the Kindle. Ignore this at your peril! A little-known FREE PROGRAM which will automate or semi-automate many aspects of formatting your Kindle e-book. We know you'll just LOVE this! How to preview your Kindle e-book in all its glory, even if you don't have a Kindle yourself, using another great piece of free software. 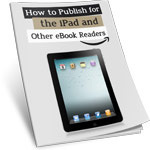 The three things you MUST have before publishing your e-book at the Kindle Store. How to create a cover image for your e-book for the Kindle Store - technical requirements included! A great resource you can use to get a professionally designed cover image for your e-book for JUST FIVE DOLLARS! How to write a description of your e-book for the Kindle Store - and why you need to be very careful if you do this in Microsoft Word! An in-depth guide to publishing on the Amazon Digital Text Platform. This is where you publish your e-book to the Kindle Store, and it's very easy to go wrong if you don't know what you're doing. Avoid the pitfalls with this step-by-step guide! How to price your Kindle e-book - Three Amazon rules you MUST know about, plus the ideal price to maximize your profits and benefit from Amazon's highest rate of royalties for authors. Six rights Amazon claims over your e-book - if you publish to the Kindle Store, Amazon will claim certain rights over your work. None of these is a deal-breaker, but you need to understand them now to avoid any possible heartache later. All about payment and taxes - how Amazon pays you for your e-book sales, and what is your position regarding taxes. How to promote your e-book with a FREE page on Amazon - don't miss out on this golden opportunity! Six tips for using 'tagging' to raise your e-book's profile on Amazon. NOTE: Some of these tips are VERY sneaky! How Amazon's Listmania feature can be an amazingly effective tool for promoting your e-book - and seven extra tips for getting the most from it! Why you need three or four good reviews of your book on Amazon - and seven top tips for getting those reviews as quickly and painlessly as possible! How reviewing other people's books and e-books on Amazon can be an amazingly effective method for promoting your own title - just use the clever method set out here! How posting on online forums can give your sales a massive boost as long as you do it correctly - plus the three most important Kindle forums you MUST join, along with others you can benefit from if time permits. How to use blogging to raise your e-book's profile - and a seven-step guide you can use to set up your own promotional blog free of charge TODAY! Why you should build a list by creating your own email newsletter - and how this can multiply your profits from Kindle sales MANY TIMES OVER! How to use the power of social networking to raise your profile and that of your book. Services such as Facebook and Twitter are MASSIVE at the moment - find out how you can tap into this to generate a torrent of traffic to your e-book's sales page! How you can use question-and-answer sites such as Yahoo Answers to gain the interest of potential buyers - this method is EXTREMELY EFFECTIVE with how-to guides in particular! How to get free publicity using press releases, podcasts and online video - everything you need to send HORDES of interested visitors to your e-book's sales site! Six ways to get people to review your e-book on their own blogs or websites - and a link to a comprehensive list of sites that will review your e-book FREE OF CHARGE. A good review on one of these sites can turn your title into a Kindle best-seller OVERNIGHT! A FREE TOOL you can use to embed a sample of your e-book in any blog or website, along with reviews, links to your sales page, and so on. All self-publishing authors should know about this! 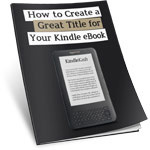 How to boost your Kindle profits even further by publishing your title as an e-book on Lulu. One thing YOU MUST NOT DO UNDER ANY CIRCUMSTANCES when publishing a Kindle e-book on Lulu and other platforms. Doing this will seriously damage your profits! How to publish a print version of your e-book - the two main options, with the pros and cons of both. Three more print self-publishing services you might want to consider. Six TOP TIPS for getting the most from a print self-publishing company. How to boost your income even further by becoming an Amazon Associate - help sell Amazon books and e-books (including your own!) and earn extra commission from Amazon! 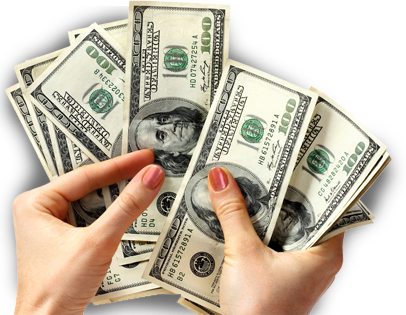 Three more affiliate networks you can join for added profits. If you have a blog, a website or an email newsletter, becoming an affiliate with these networks will give you an ENDLESS SOURCE of products and services you can promote and make money from! Two 'social bookmarking' services you can use to help drive traffic to your blog and website pages, and build your network of friends and followers. The more people who know about you and your e-book, the more potential purchasers you will have!